Tranquil setting on a lifestyle farm." A Lifestyle farm with a main home and cottage, approved building plans for another building . The Georgian style home has an open plan kitchen / dining room and lounge which opens out onto a deck and overlooks a dam in a tranquil setting. This could be an ideal spacious family home with 3 bedrooms and 3 bathrooms en suite each with a dressing room and enough cupboard space. Plans have been approved for a second building which covers 248sqm and could be utilised for functions, open plan area with Male and Female ablutions and a full chef's kitchen. 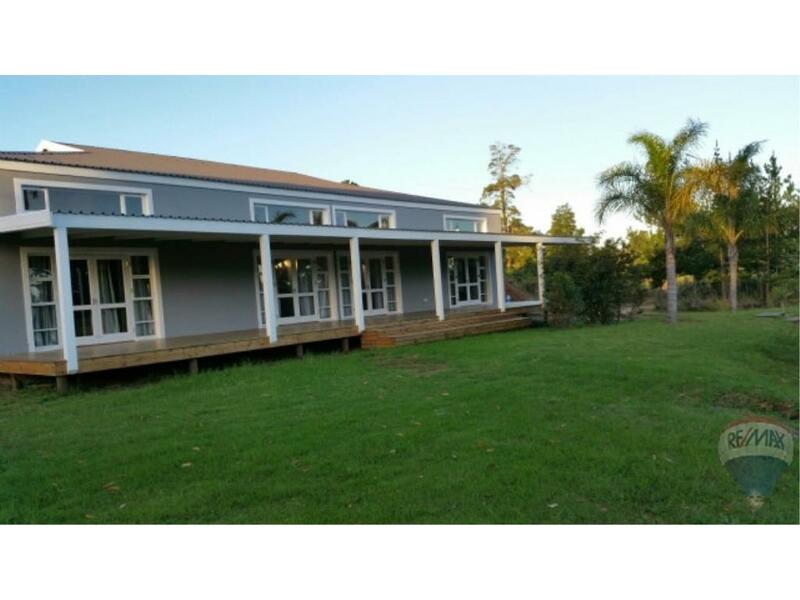 On the property there is an existing 2 bedroom cottage with a modern open plan kitchen/dining room and lounge area which also opens out onto a deck. Tranquil setting on a lifestyle farm.